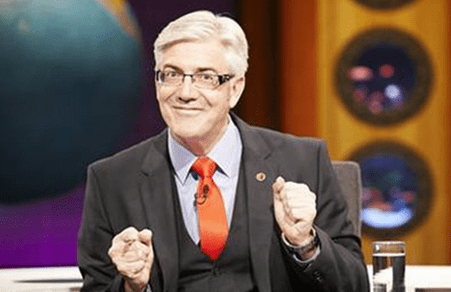 ABC1 viewers may still be divided over the reboot of Spicks and Specks, but they are very happy thank you with the droll comedy of Shaun Micallef. Last night Mad as Hell pulled 668,000 viewers which, although it trailed reality juggernauts, was a respectable figure given the competition and a lift on the preceding week. If only it could transfer to Spicks and Specks (440,000) and The Moodys (359,000) both of which have good critical praise. Seven network won yet again with a share of 33.6% then Nine 30.9%, ABC 15.9%, TEN 15.1% and SBS 4.5%. MKR was again #1 at 1.56m for Seven then Seven News (1.11m / 977,000), Home and Away (873,000), The Blacklist (871,000), Million Dollar Minute (469,000) and Chicago Fire (345,000). The Block topped Nine’s night at 1.23m then Nine News (1.12m / 1.03m), A Current Affair (910,000), Inside Story (852,000), Hot Seat (581,000) and CSI (559,000). ABC News (902,000) did well for ABC1 then 7:30 (703,000), Mad as Hell (668,000), Spicks and Specks (440,000), The Moodys (359,000), and The Last Leg (317,000). The Wrong Mans was 194,000. TEN Eyewitness News (631,000) led TEN once more followed by The Project (585,000 / 373,000), Puberty Blues lifted slightly this week to 529,000. The Biggest Loser was 352,000. On SBS ONE it was Indian Ocean with Simon Reeve (252,000), One Born Every Minute (180,000), SBS World News (121,000) and Lilyhammer (70,000). ABC2’s Ben and Holly’s Little Kingdom ranked first on multichannels at 311,000. I’m finding this season of The Moodys no where near as charming as the first season. It’s been a real chore to watch. Sectres and Lies has too many plot holes and I don’t think I’ll go back to see the final eps. If it was after Puberty Blues it would look even more ridiculous. Puberty Blues is pure quality and another tick for Susie Porter. What a talent. The character of Gary is a pretty finely drawn character as well I think. I guess I could go on, it’s a great Aussie show. I agree the good wife was absolutely fantastic last night and cannot wait for the next few weeks to see what unfolds.